The 4 th grade students at King Elementary School are excited about helping kids in hospitals feel better. Under the guidance of their teacher, Susie Loeffler, they’ve been collecting a bunch of old crayons to ship to The Crayon Initiative. To help cover shipping costs, they reached out to local businesses for sponsorships! 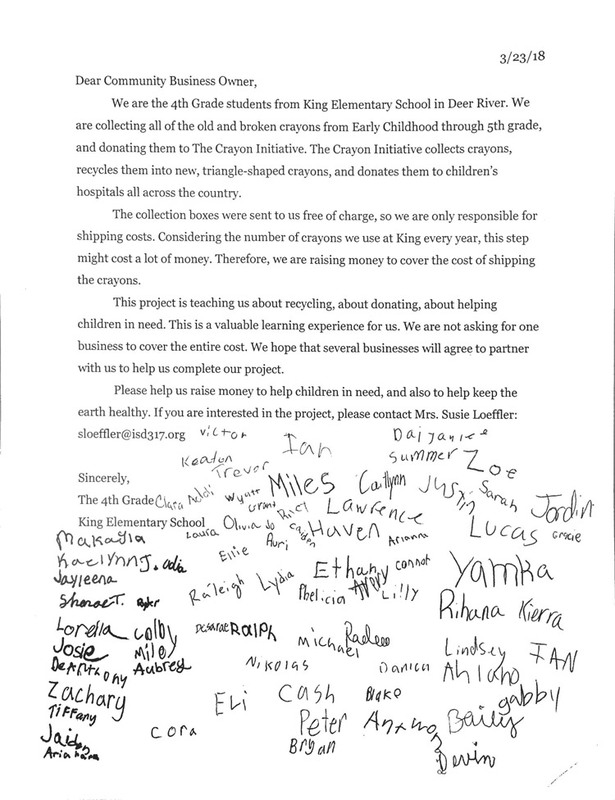 “Our students really worked together to write the letter, then to decide to whom it should be sent. We are excited to see what kind of response we get!” says Loeffler. So are we! !